Tee off in style with our game guide. If our review of Super Stickman Golf 2 has whet your appetite for some fairway action, don't forget to have a look through our game guide - it could make the difference between victory and defeat! - To get the maximum amount of power on a shot, you need to charge the meter up until the needle just touches the maximum point. Any less and the ball will still go further, but not get the added oomph that a power-shot gives it. Be very careful when using this, as many of the courses are designed to cause you to drop into the drink if you just miss full power. - If you've progressed far into a round and have the makings of a killer shot lined up, think about using one of your upgrades to make things even easier. Be aware of your opponent's score in multiplayer and don't leave any upgrades in the bank if it'll mean the difference between success and failure. - The last hole of a round will almost always offer up the biggest challenge, so it's worth keeping a few power-ups in the bank for this trickier hole. If you fluff a shot badly on the first hole, consider simply restarting the course. Practice the early holes until you can do them with your eyes closed, so you don't have to rely on wasting power-ups. - The different hats in the game each confer a different advantage, from making the power meter faster, to increasing the power of your shot. You'll need to gamble Golf Bux to unlock new hats, so make sure you pick up as many as you can on a round. 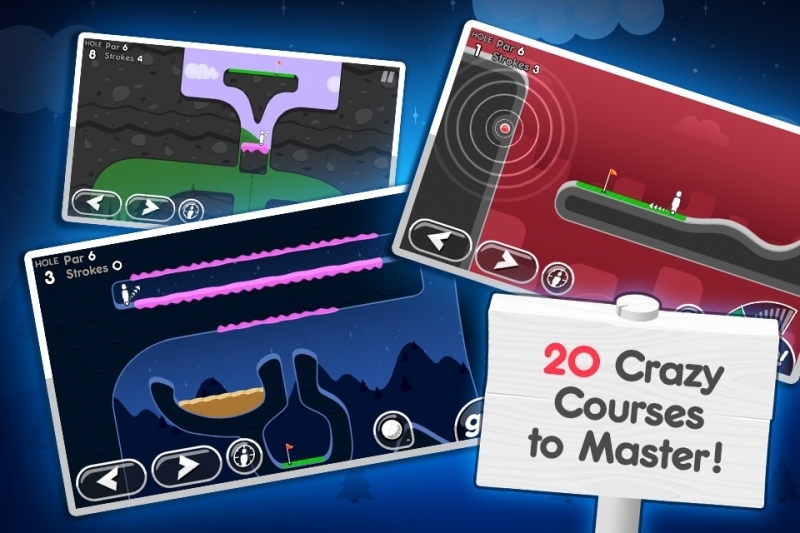 - In the Race mode of Super Stickman Golf 2's multiplayer, the fastest person to clear a hole wins the round, so don't take your eye off the device as you move between holes. Just concentrate on getting through each shot as quickly as possible. Practice in the single-player game will pay off hugely here. - You can have up to seven games running simultaneously in the turn-based multiplayer, where you and an opponent take it in turns to work through a single hole. If you want to have more than this number of concurrent games, you'll have to unlock the option via the in-app purchase store. - If you have a little money to spare, the Last Shot Power Indicator can be very useful for finishing particularly tricky shots. If you have this activated, you'll see how hard you hit the ball on your last shot - very useful if you have Mulligans left in the bank, and you want to try the shot again but a little harder or softer. - To earn the Big Bux Hunter award on each course, you're going to need to collect all 10 of the Golf Bux that are floating around in each one. Easier said than done, and you shouldn't expect to end with a good below-par score - but it is great for both maxing out the game, and earning some extra money for new hats! - Many of the holes in Super Stickman Golf 2 can only be solved by using something known as the bank shot. You pull this shot off by firing the ball very hard at a surface, and using the rebound to reach a new platform. 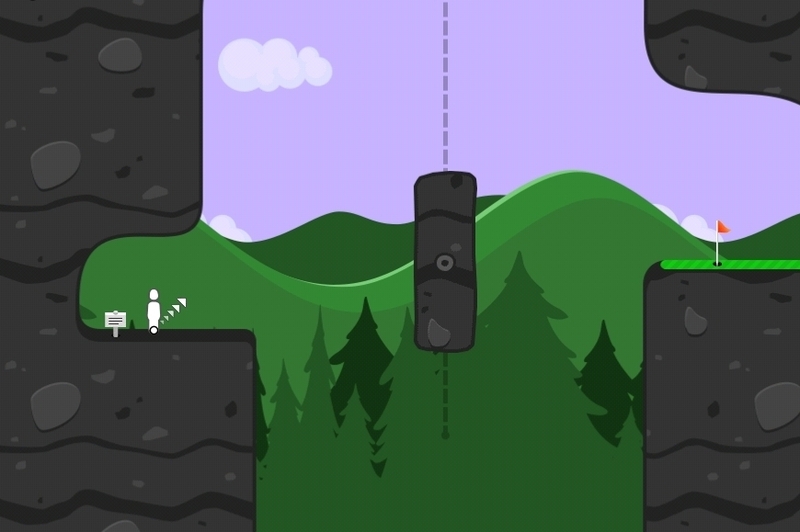 Note that with enough power, the ball can even ride upside down along walls to reach a higher ledge.